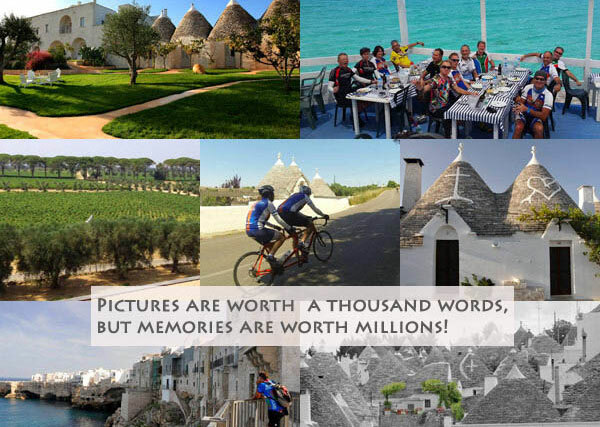 4 nights cycling vacation, independent, a first taste how is beautiful pedalling in this region- Puglia now is one the main destination for cycling in Italy. 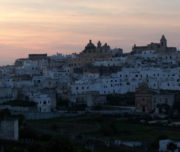 Puglia is the heel to Italy’s boot, a picturesque region on the country’s southeastern coast. 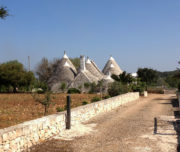 Framed on either side by the Adriatic and Ionian seas, tours of Puglia benefit from its aquatic assets: swimming-friendly coastlines, thermal waters, and ancient fishing villages. 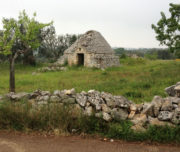 Moorish architecture seems to reflect the sun off bright white cliffs, and unique hive-like dwellings called trulli are rendered in uncemented stone. 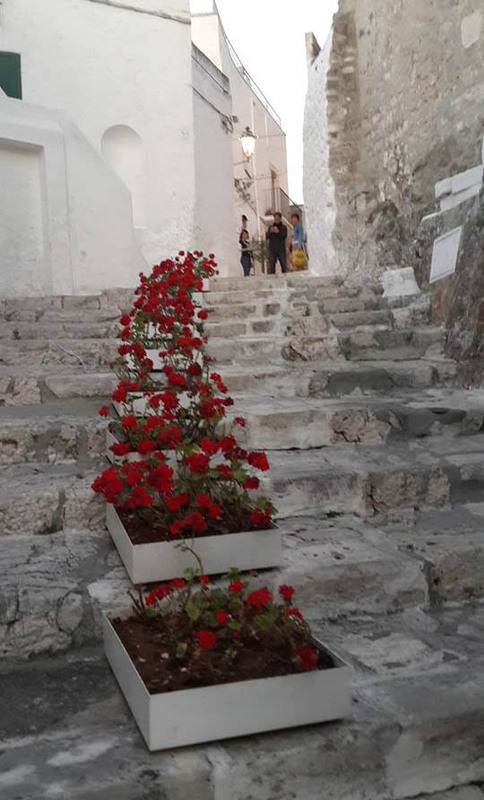 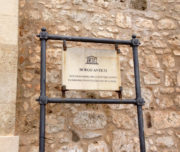 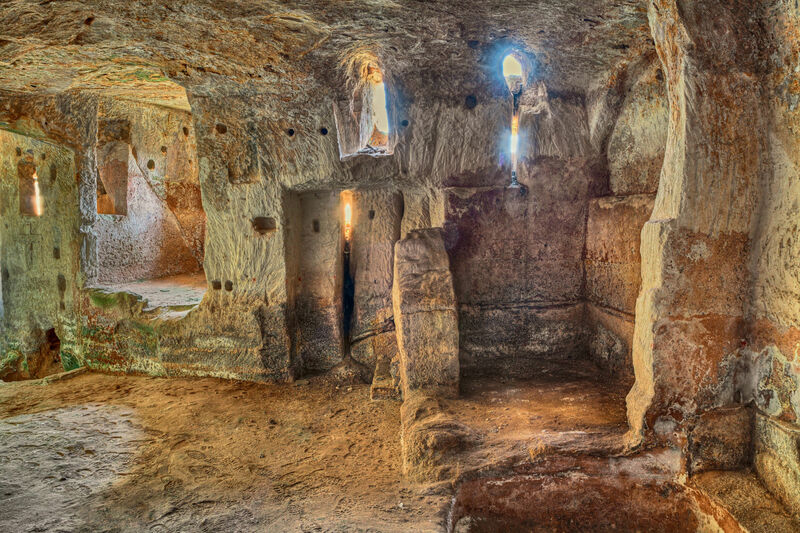 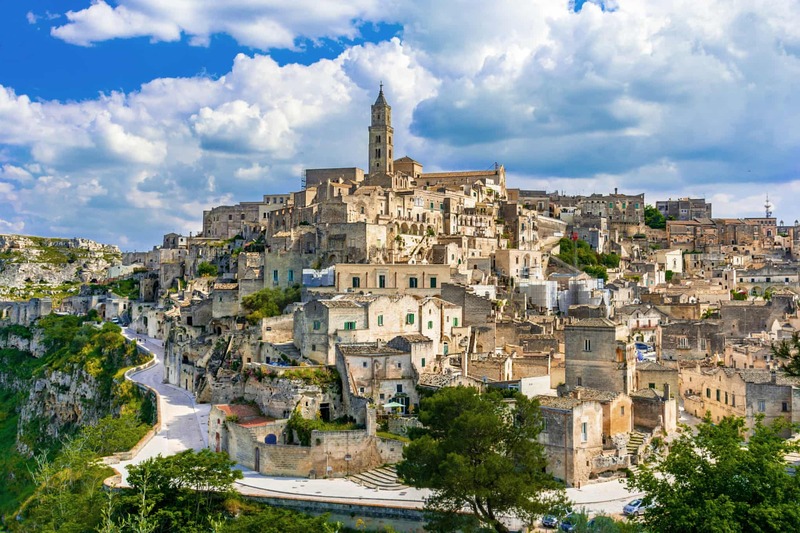 Anwya start is in Matera- in Basilicata region – near border with Puglia, the town is unesco site for Sassi since 1993 as is is considered the most outstanding, intact example of a troglodyte settlement in the Mediterranean region, perfectly adapted to its terrain and ecosystem. 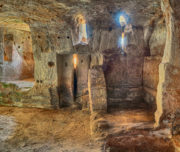 The first inhabited zone dates from the Palaeolithic, while later settlements illustrate a number of significant stages in human history. 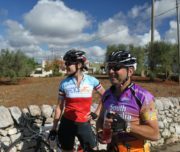 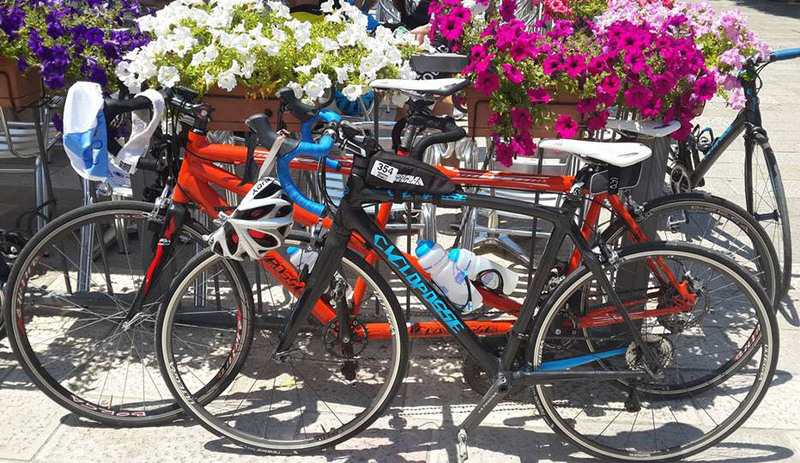 After this gorgeous beginning you go on to what we consider the must-to-see villages in Puglia – the tour is rated easy to moderate – 3 full days of cycling to get to the coast. 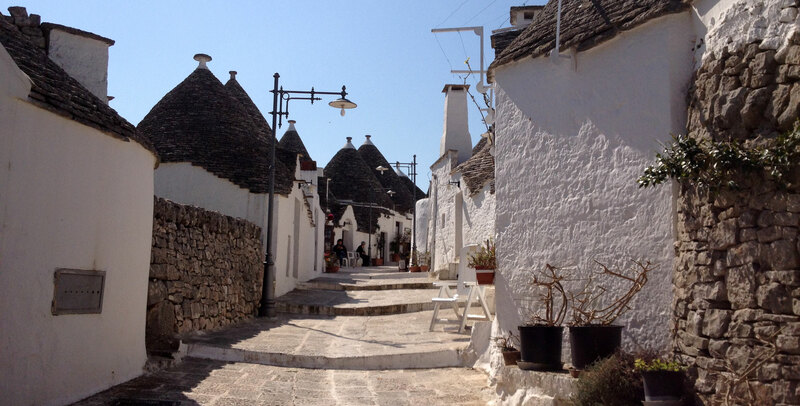 First stage is the other famous Unesco site Alberobello across the broad, gently rolling plains of the western Murge. 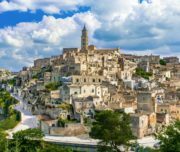 Once you turn off the main road out of Matera the soft hues of tilled soil and wheat crops mark the long stretch to Gioa del colle and Noci. 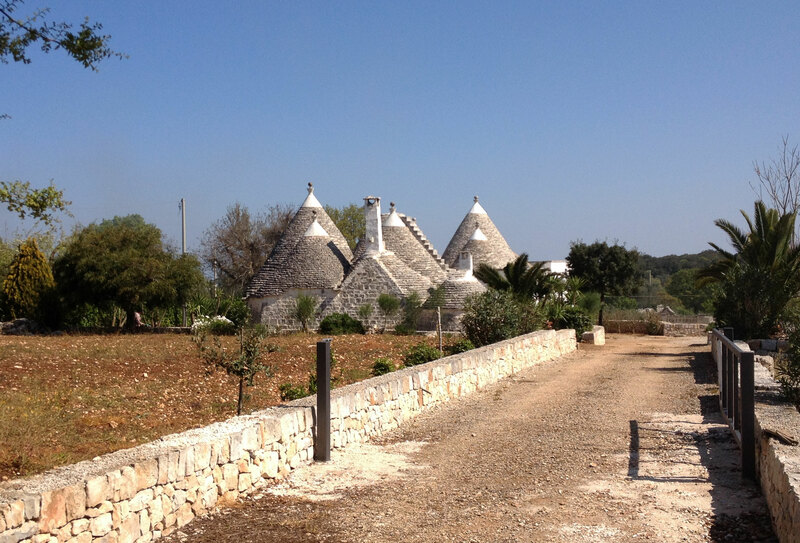 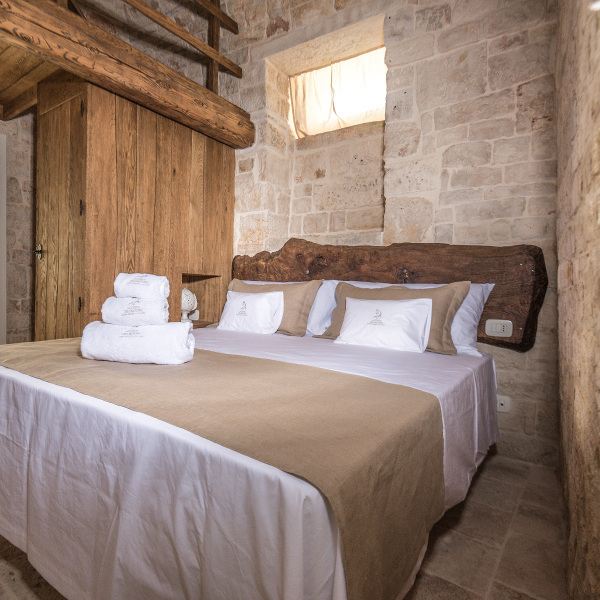 Overnight in one trullo conical roof is part of the experience, this village is unique and quintessential of Puglia. 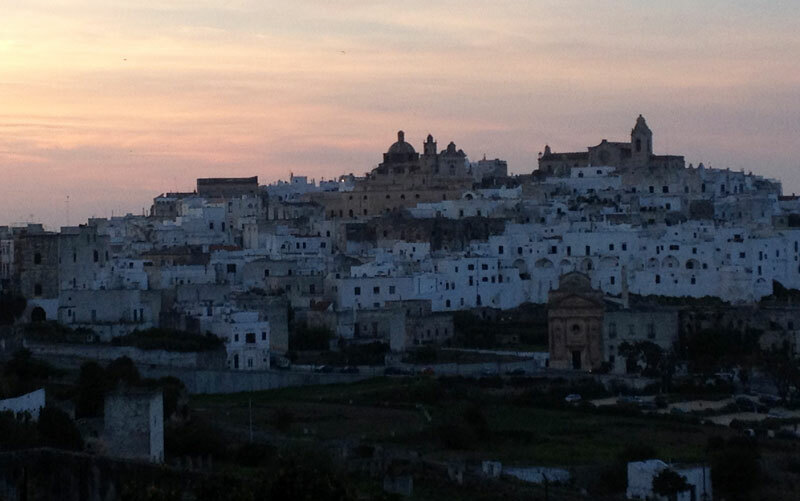 The second bike ride you reach Ostuni the so-called white town –it is on a hill 7 km from the beach… the day after is so amazing: go downhill and reach the coats and skirt this riche seaside. 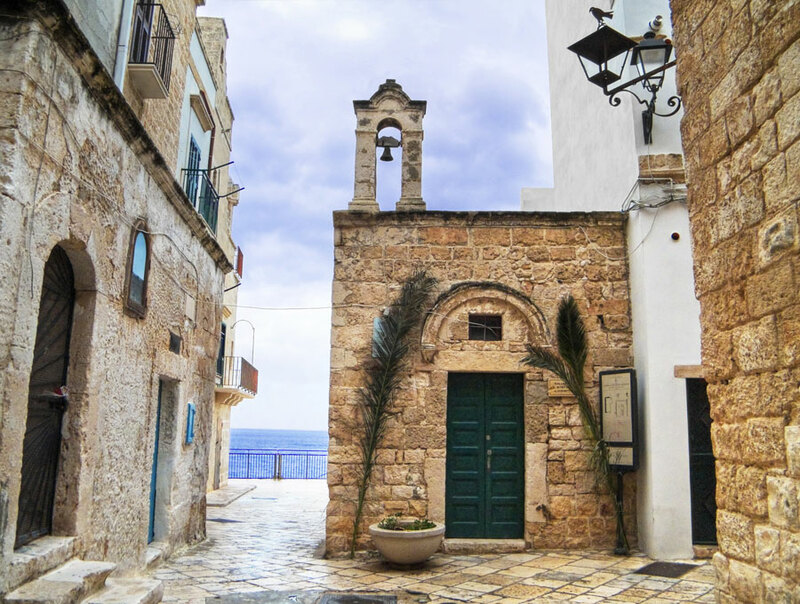 Pass fisherman villages and roman ruins – strongly suggested to stop on the way to savor sea food- in this region there is an ancient tradition of raw fish. 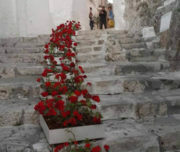 You destination is Polignano a Mare – a real gem, built on the edge of a craggy ravine pockmarked with caves. 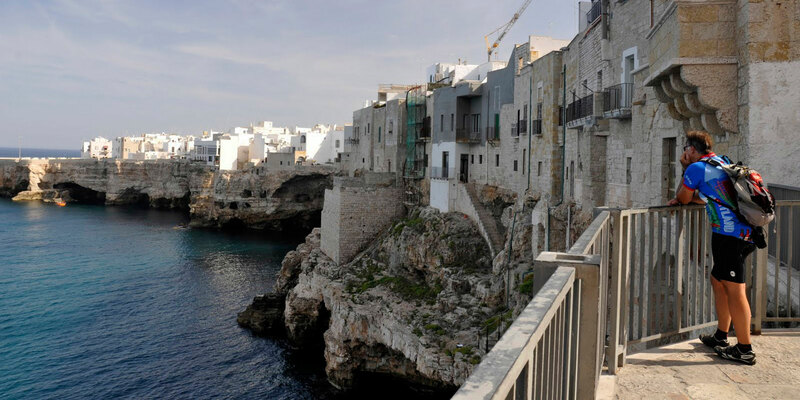 Be sure to wander in the logge –balconies –to admire the crashing waves, visit the caves and got to one cornetteria -shops specialising in Italian croissants, cornetto. 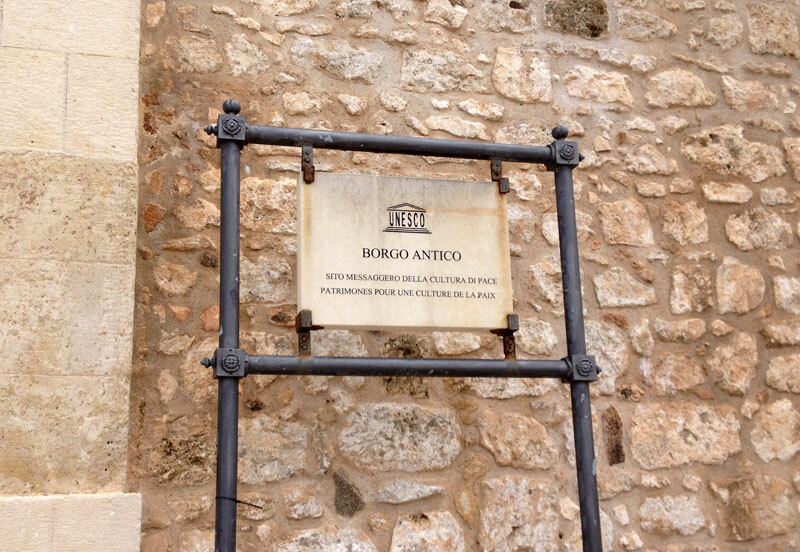 All in the atmospheric centro storico. 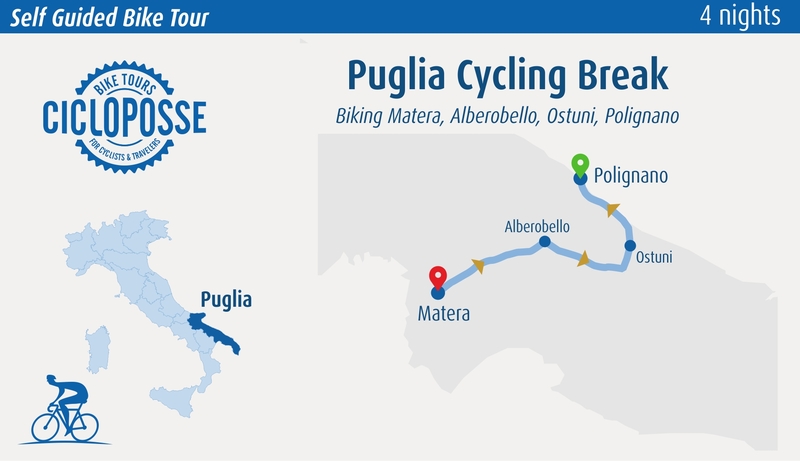 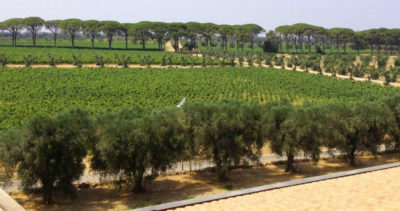 Today cycling is along the coast crossing the widest olive groves of Puglia an riding the Adriatic coast. 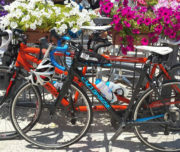 Distance 50 km easy cycling. 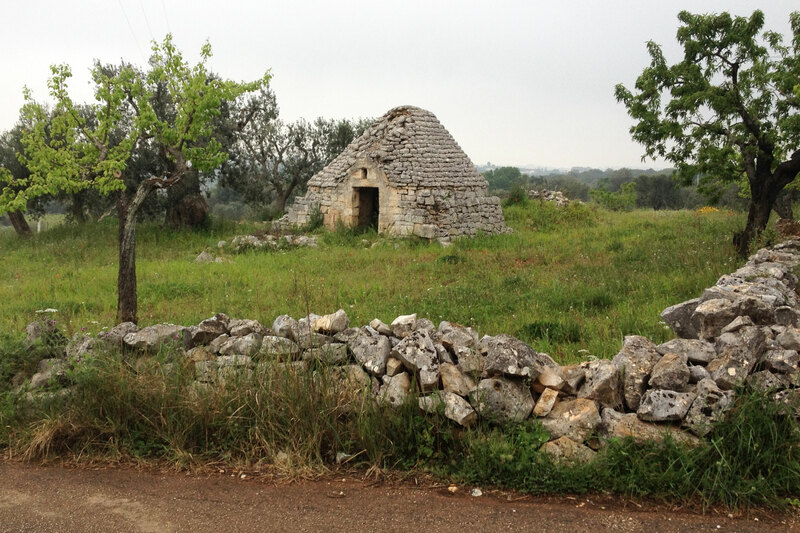 From Ostuni start with pleasant downhill to the seaside, then you will skirt the cost: Torre a Canne, Savelletri and Torre egnazia ruins, where you can see ancient wagon wheel tracks that along part of the old roman road via traiana. 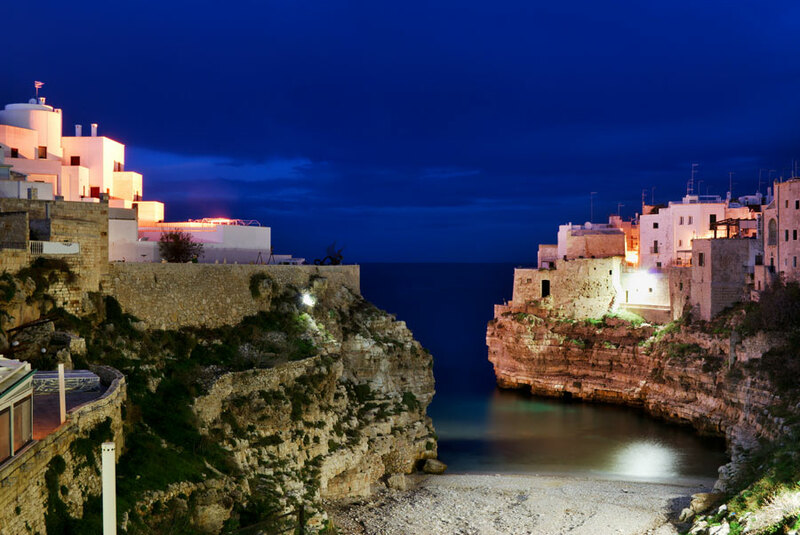 Reach Monopoli, a coastal town with a beautiful aragonese castle. 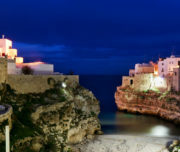 Final destination is Polignano a Mare: get to explore this spectacular postcard perfect whitewashed village overlooking the Adriatic: be sure to explore the old town’s narrow winding streets and marvel at the incredible views of the bright blue sea. 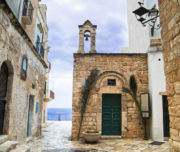 This town perhaps best known for its natural caves Grotte which are bored into the calcareous coastline by the constant scouring of wind and waves. 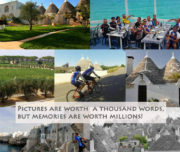 All this will leave you a nice memory of this short break and you’ll want to come back! 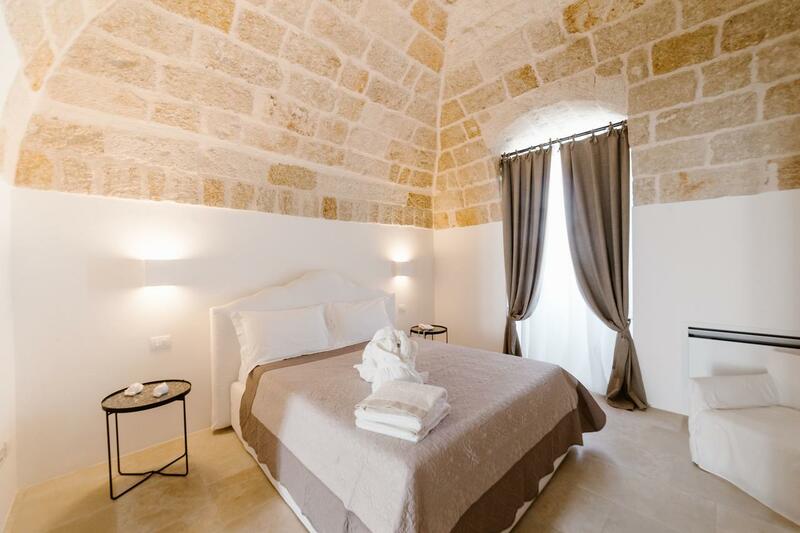 Set in Polignano A Mare, 100 m from the Adriatic Sea, Giovì Relais features a wellness center and elegant charming, air-conditioned rooms. 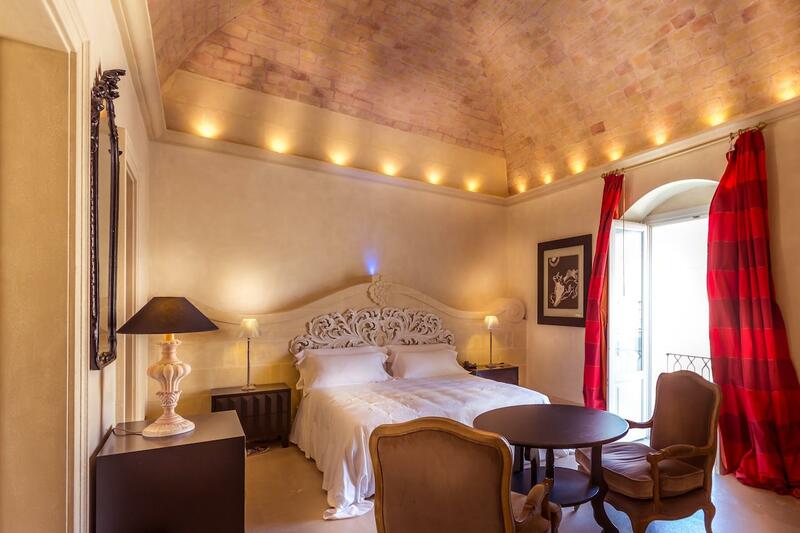 The spa is complete with a salt room, Turkish bath, a shower and hot tub both with chromo therapy. 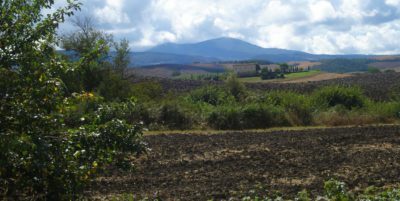 The Lama Monachile beach is a 5-minute walk from the hotel. 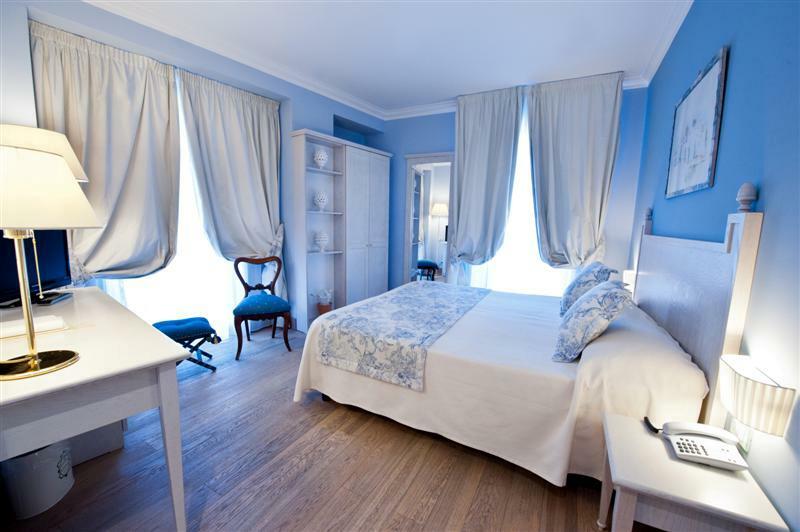 Breakfast includes seasonal local fruit and homemade pastries and cakes, served on the sea-view terrace.